We Americans love our tech devices – when they’re new. But as our old iPods, flip phones, CRT monitors and other tech starts to age, we throw them out. And that’s a big problem: According to a new annual report from the United Nations’ Solving the E-waste Problem (StEP) Initiative, nearly 49 million tons of electronic waste was generated worldwide in 2012. That’s a really ugly number, especially when you consider that e-waste typically contains poisons like lead, cadmium, mercury and hexavalent chromium. Fortunately, though, there are a number of terrific recycling options to help keep your electronic gadgets (and their poisons) out of the waste stream. 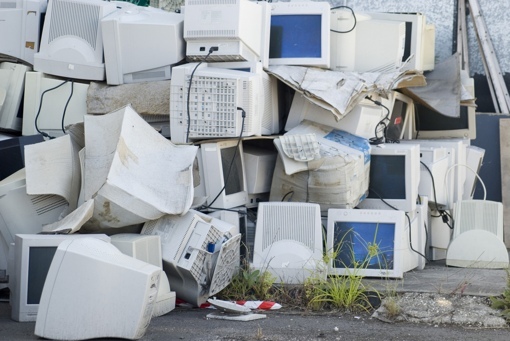 If you’re looking for a way to get rid of a device that’s only a couple years old, the most profitable way to recycle is to resell. There are a number of great mail-in recycling options, including our own Techlicious Trade-in service (powered by USell) where all you have to do is request an envelope and collect a check. Many retailers (like Apple) offer trade-ins, though typically in only the form of store credit. Still, that's better than getting $0 from the trash can. For older devices of little to no value, your best bet should be to check with the store you purchased it from to see if there’s a recycling program available. All major phone carriers should accept old phones for proper disposal, and major electronics retailer Best Buy has a free recycling program that accepts batteries, computers, TVs and home appliances. Your city or township may also have its own special e-waste disposal day, so contact your local landfill or waste management company. You can check out the full 52-page StEP Initiative report on electronic waste at the organization’s website (PDF).